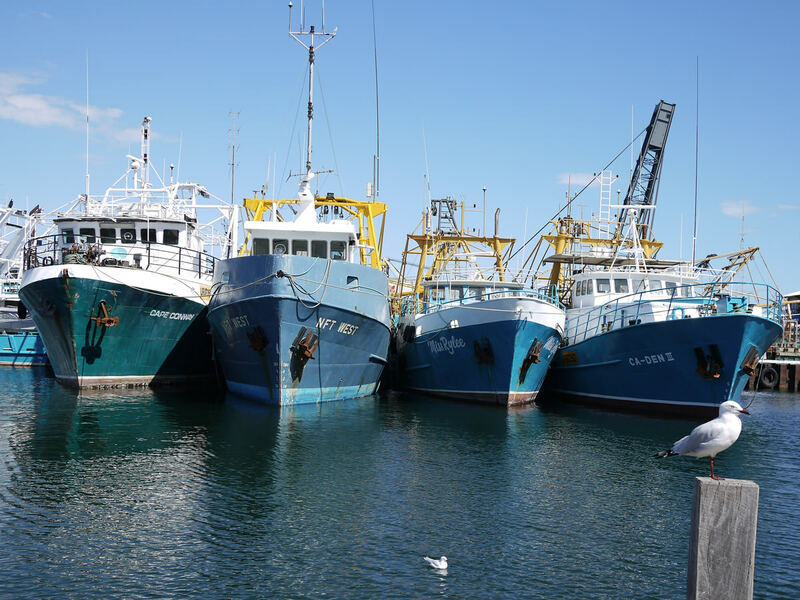 What do you think when you hear the words fish and chip gelato? Most people I know say “Yuck!” But when I heard Kailis in Fremantle had launched a new fish and chip gelato, I was intrigued and excited and immediately wanted to taste it. Inspired by Heston Blumenthal’s bacon and egg ice cream, which I also would love to taste, Kailis and Il Gelato flew two flavour scientists from the Bigatton company in Italy – makers of the majority of the world’s gelato flavourings – to Perth to taste Kailis’ fish and chips. The scientists returned to their lab in Italy and worked on the coveted fish and chip flavour for five months. This is the result. Behold, I present: fish and chip gelato. On a recent rare day off work, just over a month after its launch, I got my chance to try it. 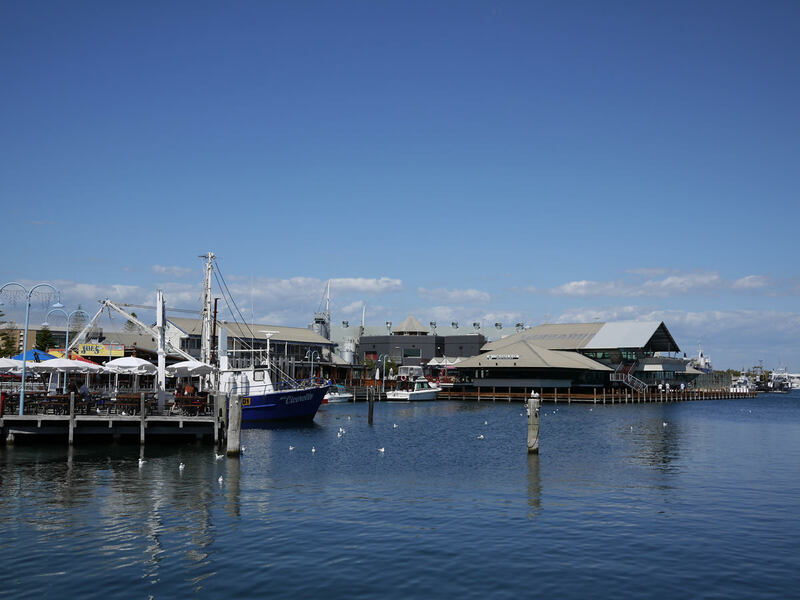 In the spirit of gastronomic adventure, I took the train to Fremantle to go to Kailis Fish Market Cafe on a mission to try the fish and chip gelato. It was a bright and sunny, hot and sticky afternoon, and by the time I arrived, I was well and truly ready for some creamy cold gelato. I must admit, for just a fleeting moment, looking at this sign made me consider buying a serving of fish and chips before trying the gelato! But I had already eaten lunch and was here for dessert. The fish and chip gelato was on display in the cafe next to the more traditional, less startling Il Gelato flavours, including pistachio, rum & raisin, white choc & coconut, baci and chocolate. I took my gelato outside and struggled to photograph it quickly, with my camera in one hand as the gelato melted and dripped all over my other hand and onto the ground. I knew it wouldn’t taste fishy. In fact, Nat from Nova 93.7FM declared on Twitter that it tasted “more like old school Chinese restaurant fried ice cream”. To me, it didn’t taste like fish and chips. It tasted similar to vanilla but not quite vanilla, with a subtle hint of saltiness – perhaps that’s the chips. But it’s a sweet gelato, not savoury. The “fried batter” bits all through the gelato made me think of cookie crumbs or cookie dough, not fish and chips. I reckon big bits of fried batter would’ve been more representative of fish and chip batter, but presumably the smaller crumbs hold their crunch better. For all of you revolted by the idea of fish and chip gelato, there is nothing fishy in its flavour. I think you’ll be pleasantly surprised if you try it. But that is precisely why I was disappointed. It was a nice creamy gelato and I didn’t hesitate to eat it all, but I wished with all my heart that it tasted more like fish and chips. 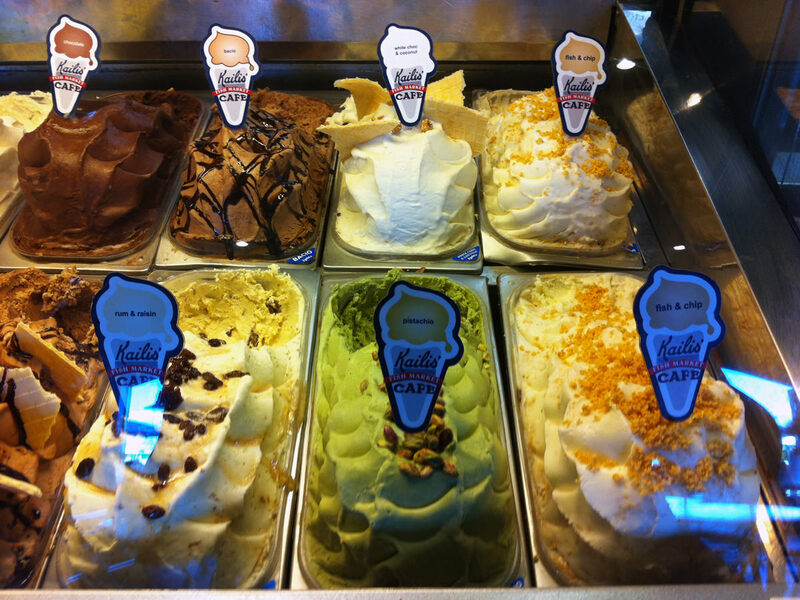 Despite my criticisms, I must say: good on you, Kailis and Il Gelato, for creating/selling a fish and chip gelato. We need more interesting and adventurous food in Perth. What’s next? Despite the anticlimax, I was happy that I got the opportunity to taste Australia’s first fish and chip gelato. And it was a beautiful day to be out and about. I felt lucky, with the warm breeze in my hair as I sat by the water, eating gelato and enjoying the view, with nowhere else to be. 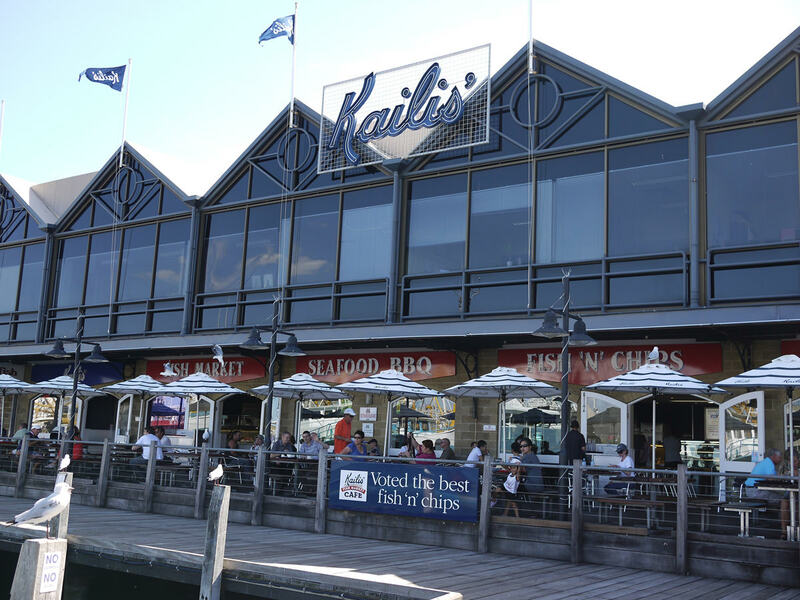 Kailis, I’ll be back another day for your real fish and chips. 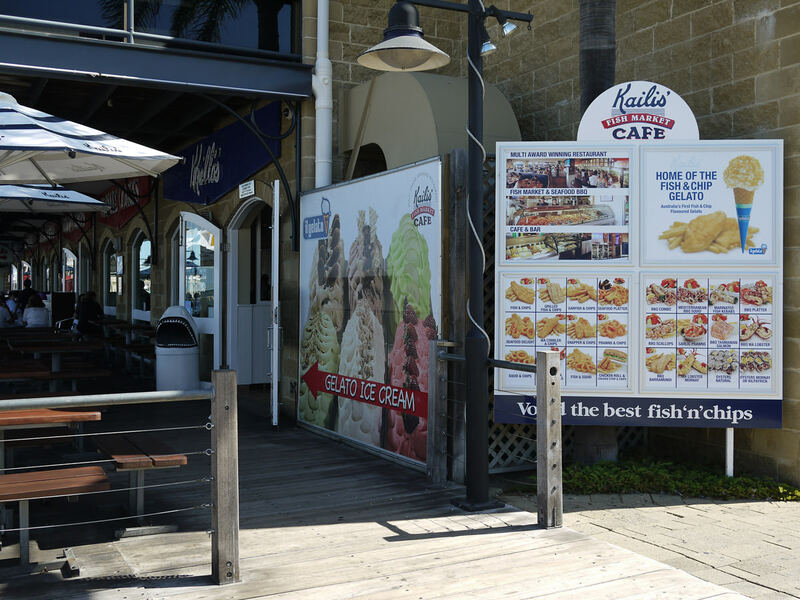 There’s a Kailis fish market and cafe in Leederville too. I wrote recently about dinner at Kailis Brothers Fish Cafe in Leederville. 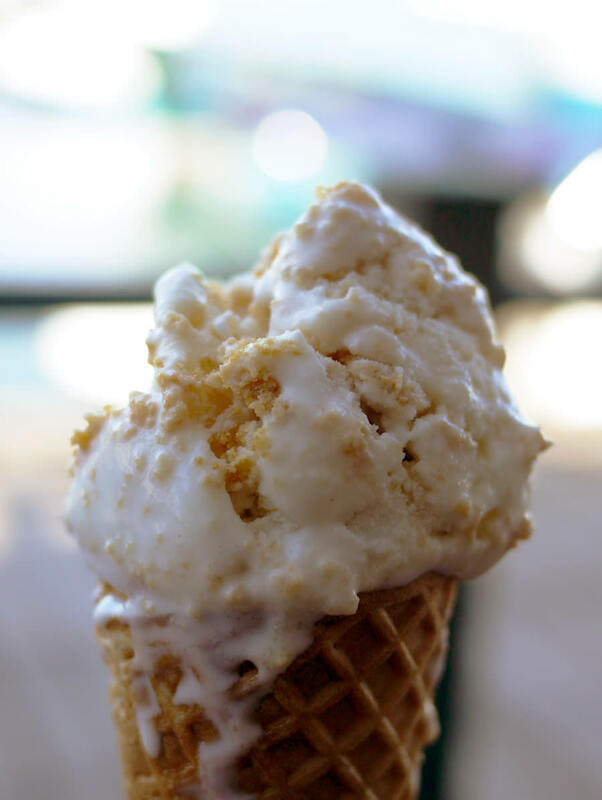 Kailis created the fish and chip gelato with local company Il Gelato. 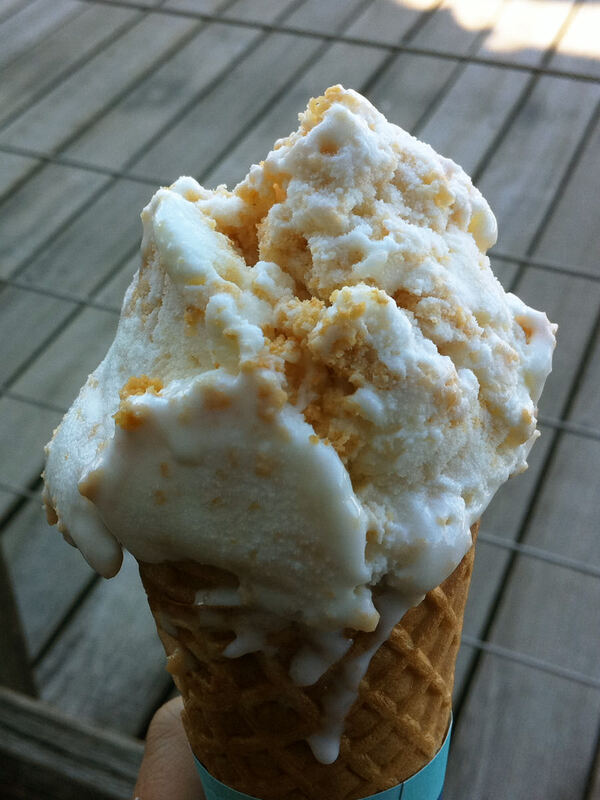 What is the most unusual or exotic gelato/ice cream/sorbet flavour you have eaten, and most importantly, did you enjoy it? 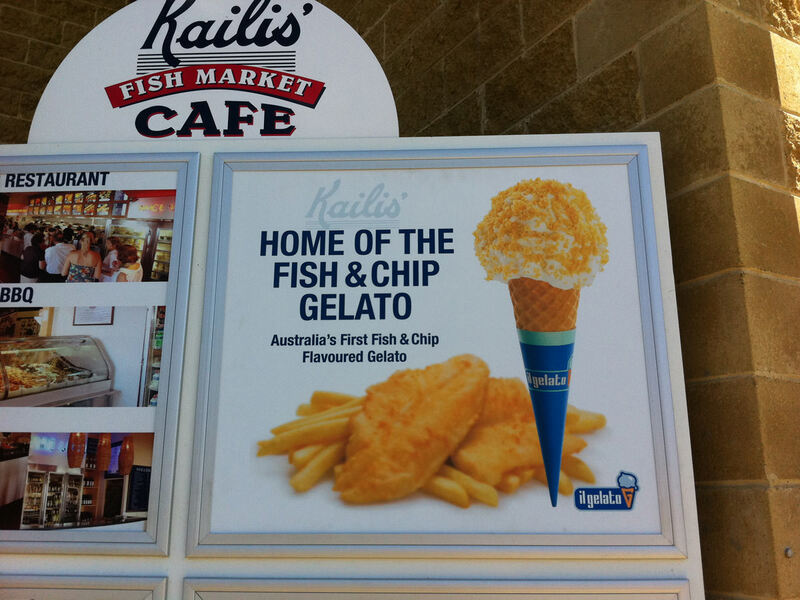 If you’ve tried Kailis’ fish and chip gelato, what did you think of it? The controversial Baby Gaga ice cream made from human breast milk, which has since been removed from sale over health concerns and invoked a threat of litigation from Lady Gaga herself. 101 frightening ice cream flavours from around the world – note: I don’t think they are all “frightening” but some are not particularly appealing! And finally, in the video below, the king of bacon and egg ice cream Heston Blumenthal serves his dinner guests chicken curry ice cream as part of his Titanic Feast in his television series Heston’s Feast.